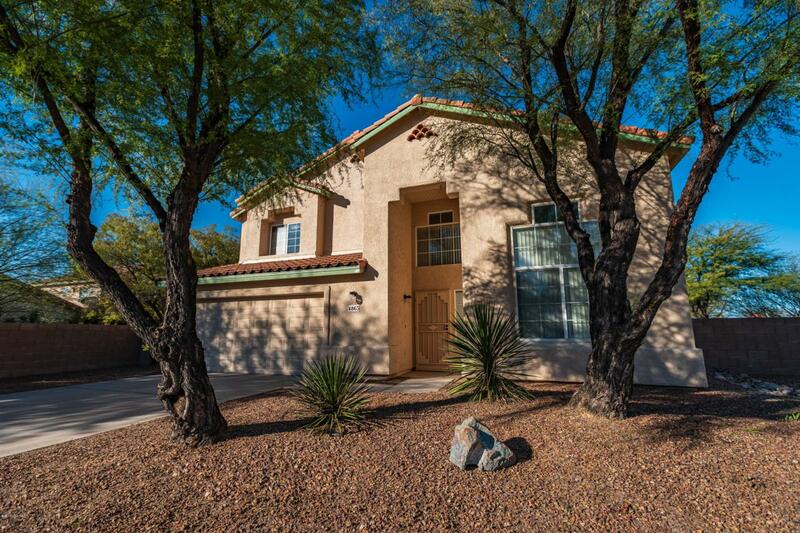 Beautiful home in desirable Pima Ridge neighborhood. 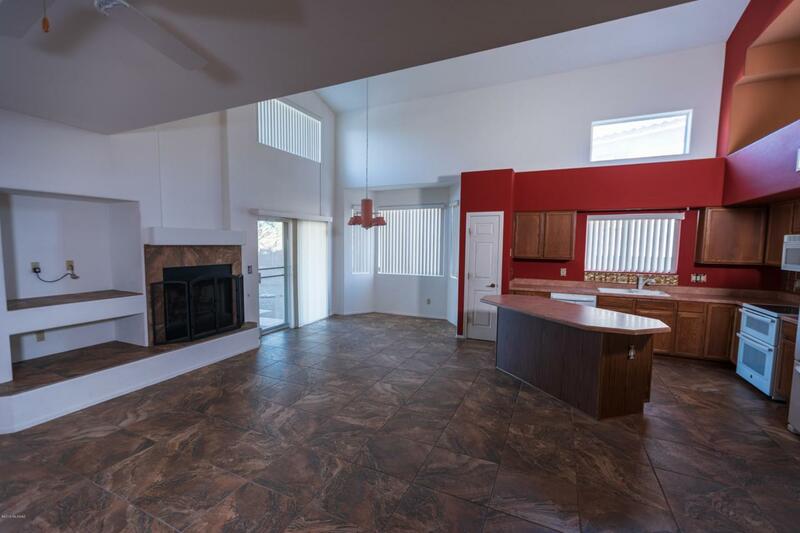 This home's spacious floorplan boasts 4 bedrooms and 3 full baths. 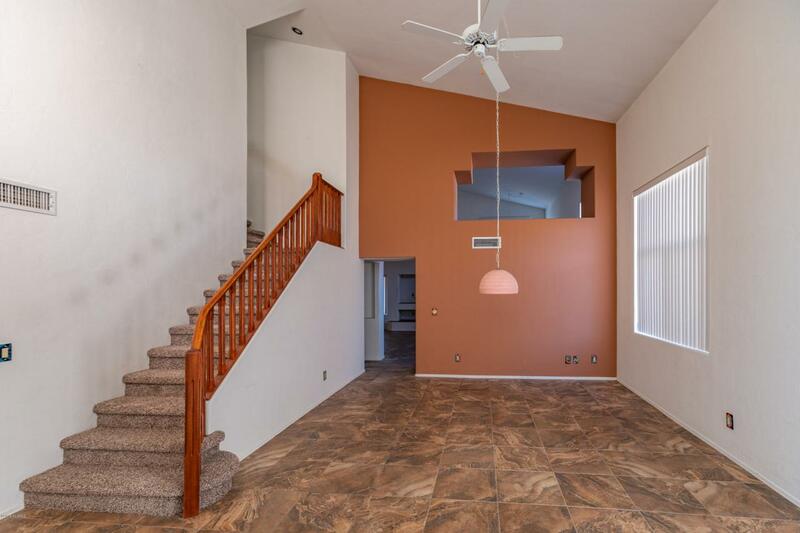 Upstairs has 3 bedrooms and 2 baths including a large 2 level master suite with West facing balcony, over-sized walk-in closet, 2 separate vanities, and jetted tub. Downstairs features living room, dining area, kitchen great room with bay windows, 1 bathroom and large bedroom with over-sized walk-in closet. 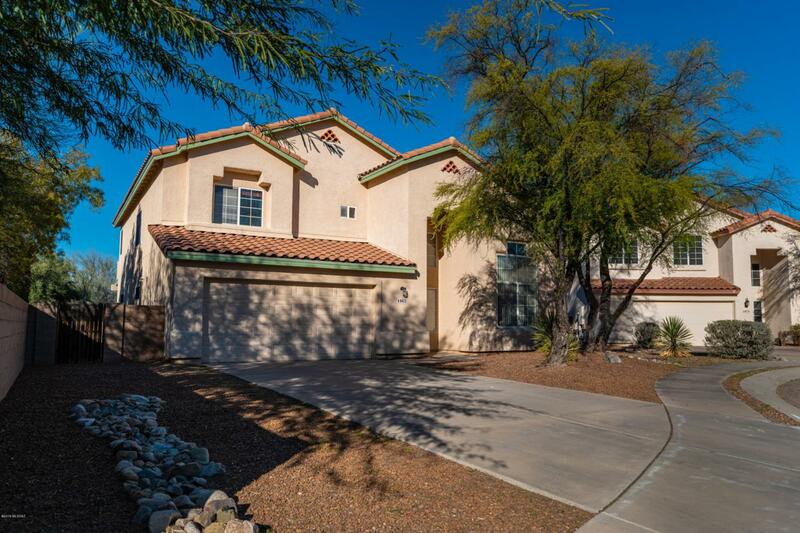 Other features include custom tile in downstairs living areas, low care landscaped backyard with bocce/horseshoe area, and full length patio with ceiling fans and roll down sunscreens. Brand new carpet! New roof in 2015 with 20 year warranty! A must see! No poly pipes! Agent is related to sellers.